Diversified, a national solutions provider of Presentation AV, Broadcast, IT, and Managed Services, announced today that it has acquired The Systems Group of Hoboken, NJ. The Systems Group (TSG) brings an internationally recognized reputation for consulting, design, and integration around broadcast-LAN architecture and file based workflows. Their space planning, technical consulting, and engineering expertise along with a talented and experienced staff of professionals will continue to serve their customers and contribute to Diversified’s portfolio of services. As the market for media technology products and services evolves, customer requirements and knowledge of disruptive business models as well as IP and IT strategic planning is paramount. The expanded company will add to their deep knowledge in broadcast centric solutions around the globe. "We are extremely excited that our team is joining Diversified. Over the last two decades we have developed strategic relationships consulting and designing facilities for the top media providers in the world. Joining the Diversified team allows us to focus our engineering expertise and offer a wider range of technical services to our valued clients” said Christopher Mehos, Principal, The Systems Group. “Today’s complex IT/IP planning along with file based workflows demand the strongest engineering disciplines and Diversified has the diversity and strength to complement our team to fulfill client needs for increased productivity” said Scott Griffin, Principal, The Systems Group. 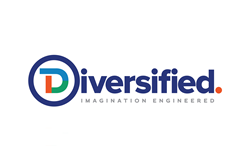 As Senior Vice Presidents, Mr. Mehos and Mr. Griffin will join Diversified executive management to integrate The Systems Group team members into Diversified’s operations. Further, as broadcast technologists they will play a key role in the growth strategy and execution of future technology platforms.